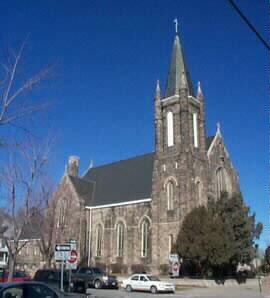 Sacred Heart Catholic Church is located at 2206 Binney Street in the Kountze Place neighborhood of North Omaha, Nebraska within the Roman Catholic Archdiocese of Omaha. Built in 1902 in Late Gothic Revival style, the City of Omaha declared it a landmark in 1979, and it was listed on the National Register of Historic Places in 1983. ^ (nd) Sacred Heart Church. City of Omaha Landmark Heritage Preservation Commission. Retrieved 5/29/07. 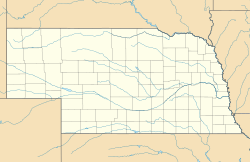 Wikimedia Commons has media related to Sacred Heart Church (Omaha, Nebraska). Sacred Heart CUES. The Christian Urban Education Service is the non-profit organization that provides financial support and operational guidance for Sacred Heart School. This article about a church or other Christian place of worship in Nebraska is a stub. You can help Wikipedia by expanding it. This page was last edited on 28 December 2016, at 19:47 (UTC).